THOUGHTSKOTO Thoughtskoto : AT NAIA TERMINAL 1: DUBAI OFW, COMPANION MISSED THEIR FLIGHT BECAUSE OF UBE JAM? 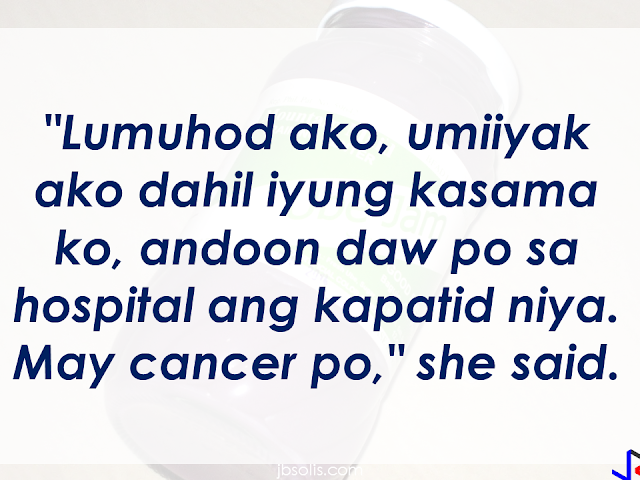 AT NAIA TERMINAL 1: DUBAI OFW, COMPANION MISSED THEIR FLIGHT BECAUSE OF UBE JAM? 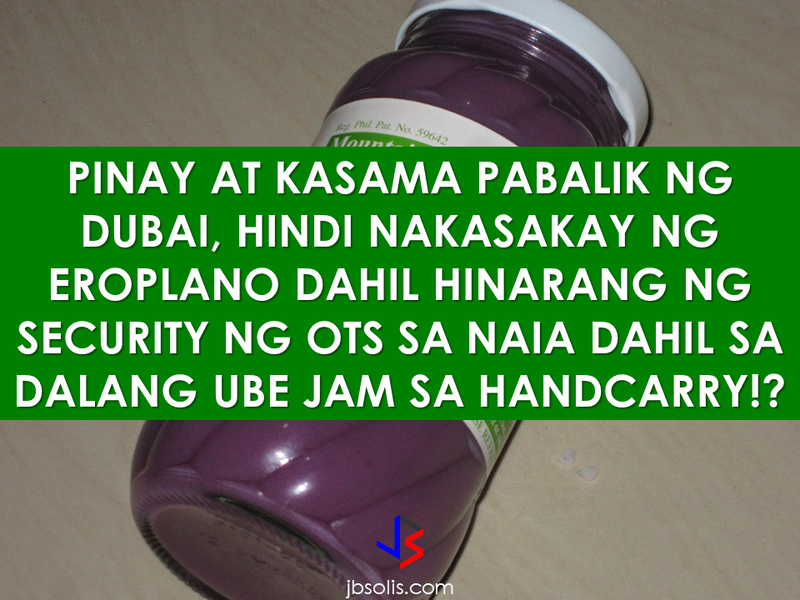 An OFW from Dubai with his Jordanian companion has not been able to board their flight because an OTS screener apprehended them because of carrying a jar of ube jam in their hand carry bag. 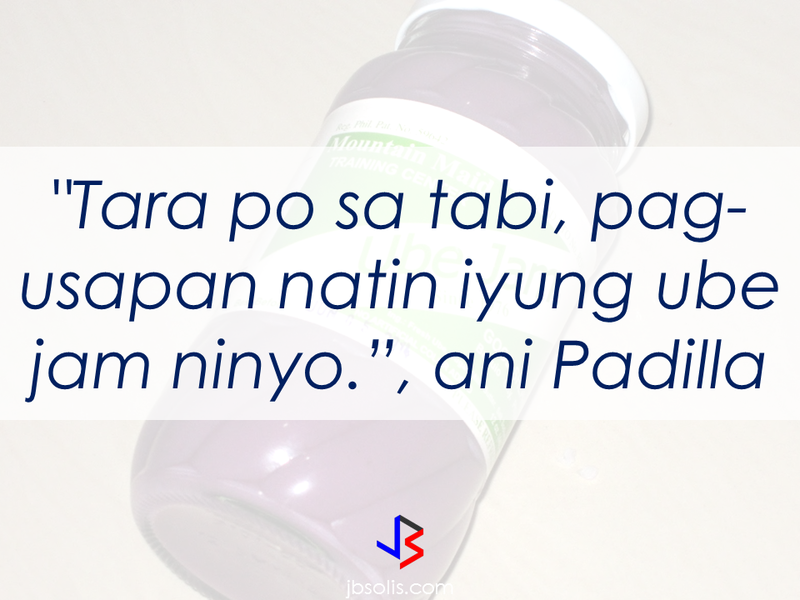 Sergio Padilla, an Office of Transportation Security screener allegedly attempted to extort the complainant OFW Carol Reynon Quebalayan after the officer found a jar of ube jam inside their hand carry bag and ask Quebalayan to go and talk to him at the side. Padilla told Quebalayan that her jars of ube jam is not allowed in hand carry and instructed her to talk at the side instead of advising what she could do. 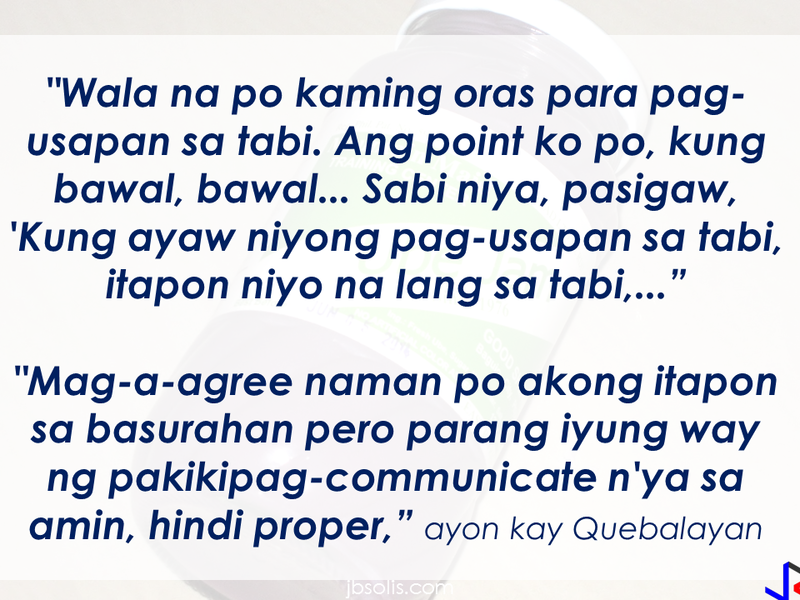 When Quebalayan refused to do what Padilla told, he allegedly shouted at her. "We no longer had time to talk about it. My point is that if it's prohibited, then it's prohibited... then he said, shouting, 'If you do not want to talk about it at the side, throw it there at the side istead. I would have agreed to throw it in the garbage but the way he communicated with us was improper," Quebalayan narrated. 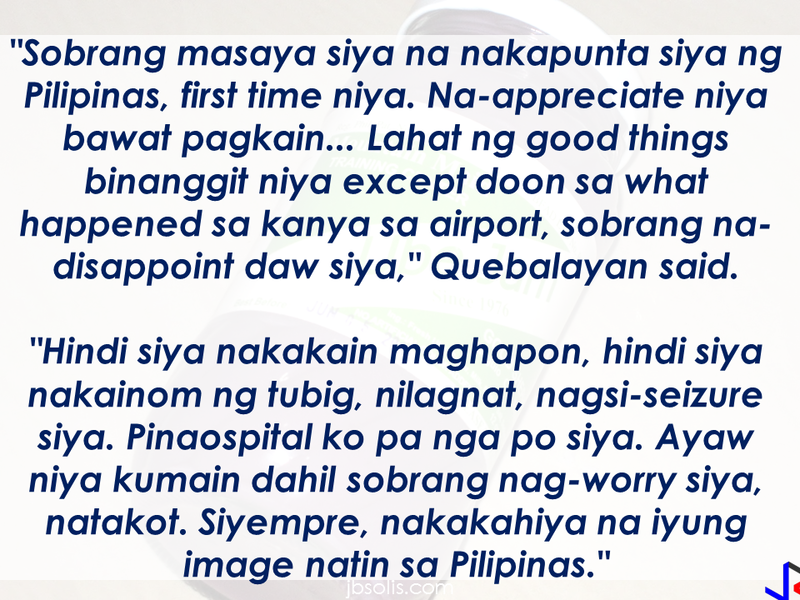 The incident caused Quebalayan and her companion to miss their flight to Dubai. She begged the airport officials to help her in rebooking a flight immediately because her companion needed to visit his sibling with cancer . They were able to get new tickets for P75,000 but the Jordanian later ended up in a hospital due to extreme distress. 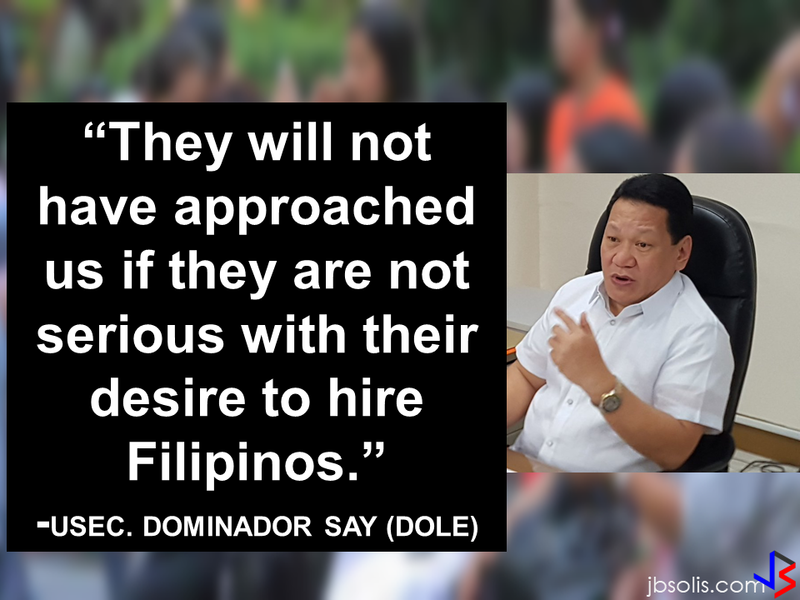 Quebalayan also alleged that Anatalio Salaysay, another airport personnel, attempted to make her sign a waiver stating that they missed their flight because they were late without stating the circumstances that they missed the flight because of the apprehension made by the OTS personnel. However, an airport policeman assisted Quebalayan to file a complaint. Manila International Airport Authority (MIAA) general manager Ed Monreal said Padilla has been relieved of post and is now under investigation. 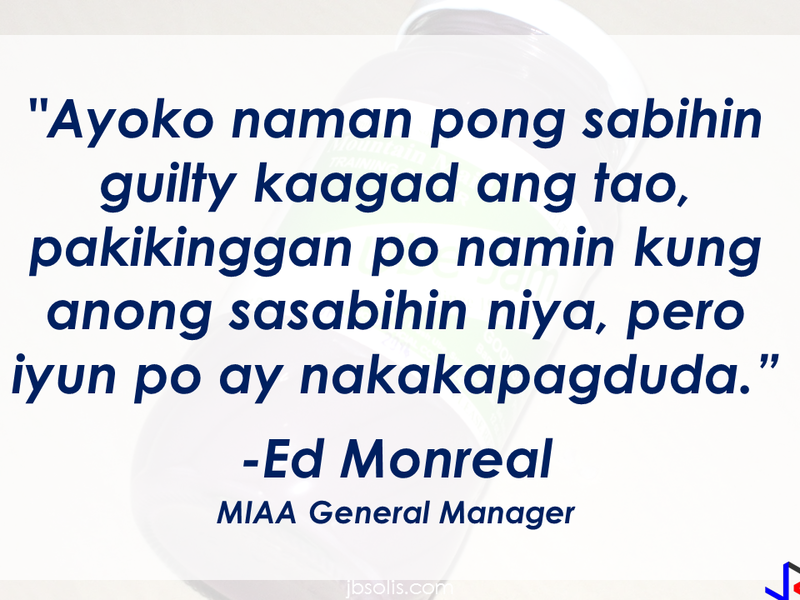 Monreal also find the OTS personnel strange and suspicious when he could just have confiscated and discarded the ube jam and let the passengers catch their flight. The reason behind not allowing the OFW to bring ube jam in glass jars in her hand carry has been confirmed by the MIAA Officials. They said that it has long been banned to be brought in the handcarry because the glass jar when be broken can be used as a blunt weapon that can threaten and harm anyone onboard. However, you can bring the said item if it is sealed in a plastic container.